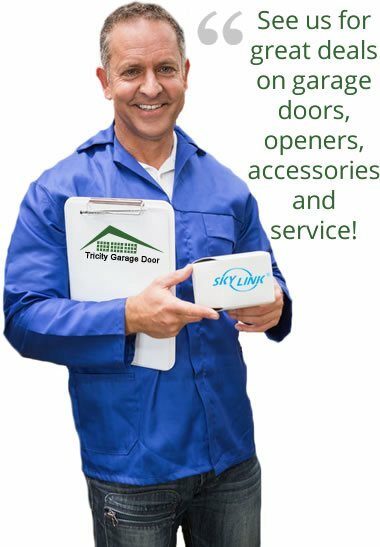 TriCity Garage Door makes replacing your garage door a pleasant affair. Since 2011 we have specialized in replacement and Custom home garage door sales, in the Waterloo Region and Guelph. From our initial consultation to the installation, you won't find a company more committed to helping you make the right decision to enhance the curb appeal, value, and safety of your family home. When it comes to home renovations, you can't be too careful. We've built our reputation on the installation and service of the industry's most dependable products. As the largest, heaviest moving component of any home, proper installation is key. Great garage doors, from C.H.I. Overhead Door and Canadian built Upwardor, along with profession openers by Liftmaster and Skylink. We provide the best value in doors and openers sales in Cambridge, Guelph, Kitchener, and Waterloo. We guarantee your satisfaction every step of the way. When you have questions, our trained, professional staff is always ready to help. Don't trust your largest asset to anyone else.